Designer David Dale, Ronald Fream, Golfplan Inc. 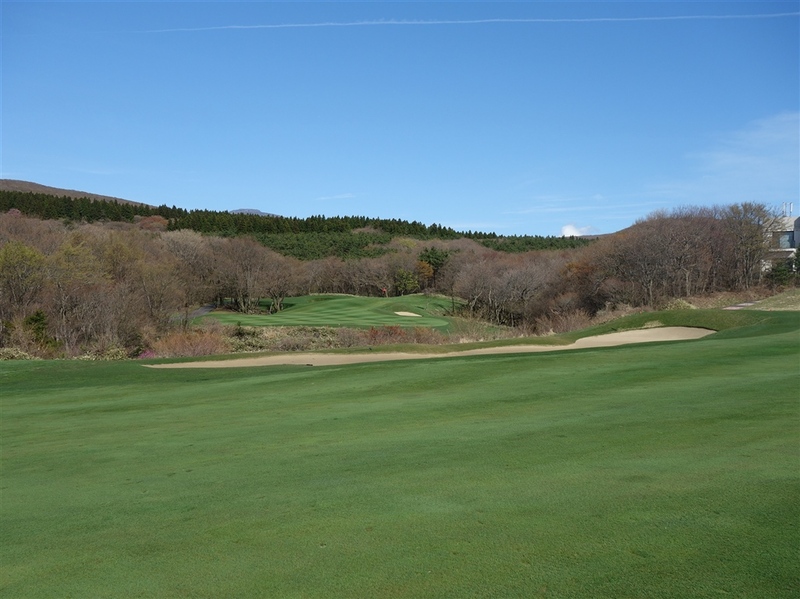 The Golf Club at Nine Bridges is a hillside course that consists of strategically placed trees, valleys, ponds, creeks and bunkers. 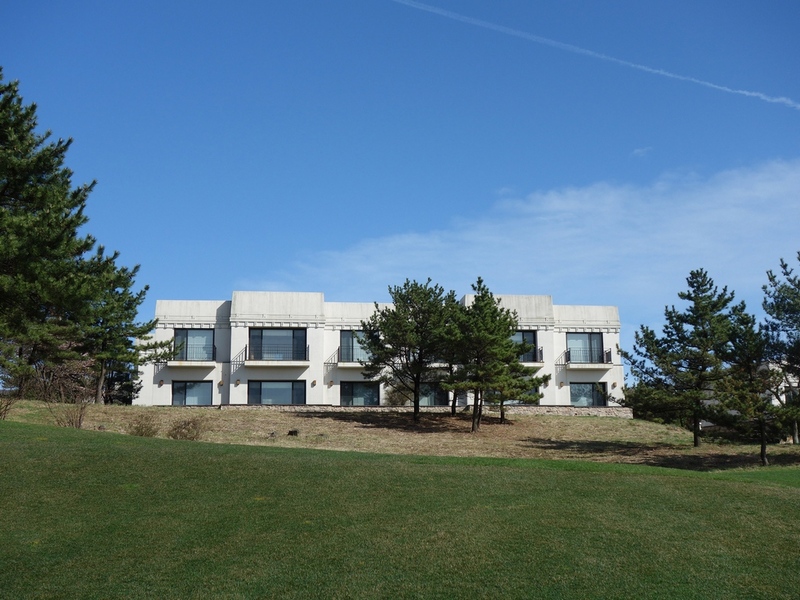 The course has a variety of doglegs, up and down hills, and a mix of short and long par threes, fours, and fives. 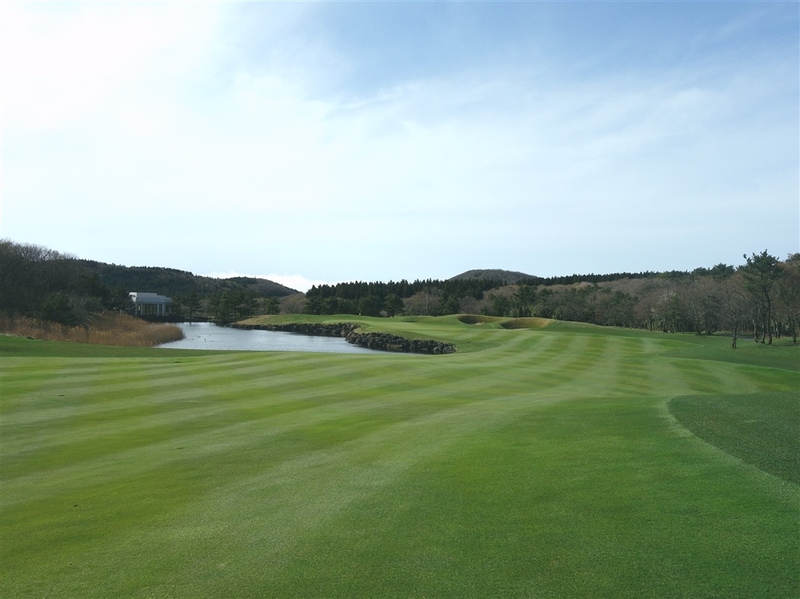 Moreover, the course’s well designed routing will allow players to enjoy their play with a good rhythm and flow. 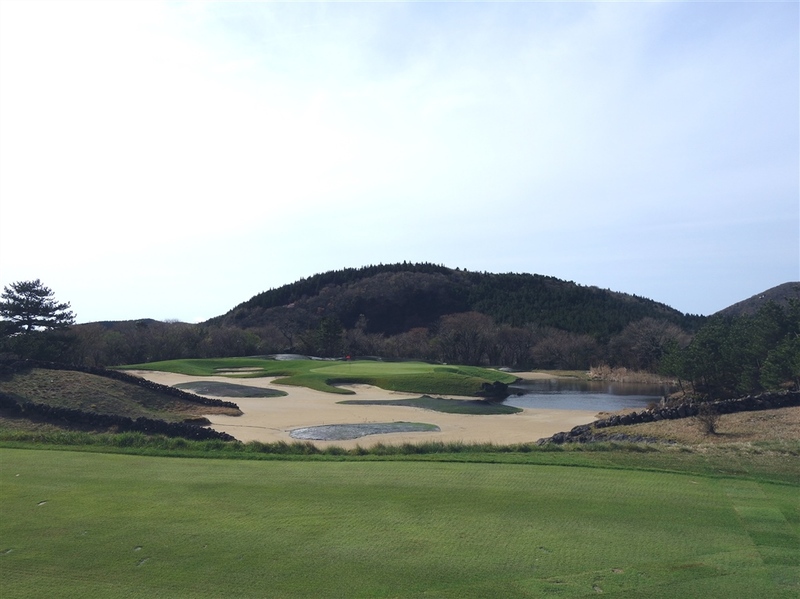 Players will also be impressed by the astonishing and picturesque views at places such as the 4th hole’s green, skyline at the 8th hole’s, and the views from the 10th, 13th, and 18th hole of the highest mountain of Korea, the 1950-meter (6400 ft) tall Mt. Halla. 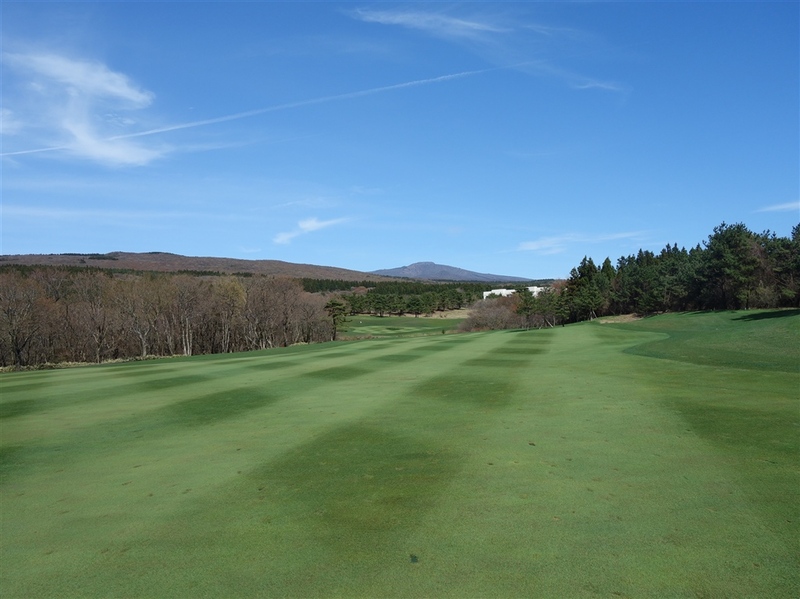 The greens generally have moderate undulations, allowing for a smooth putting. 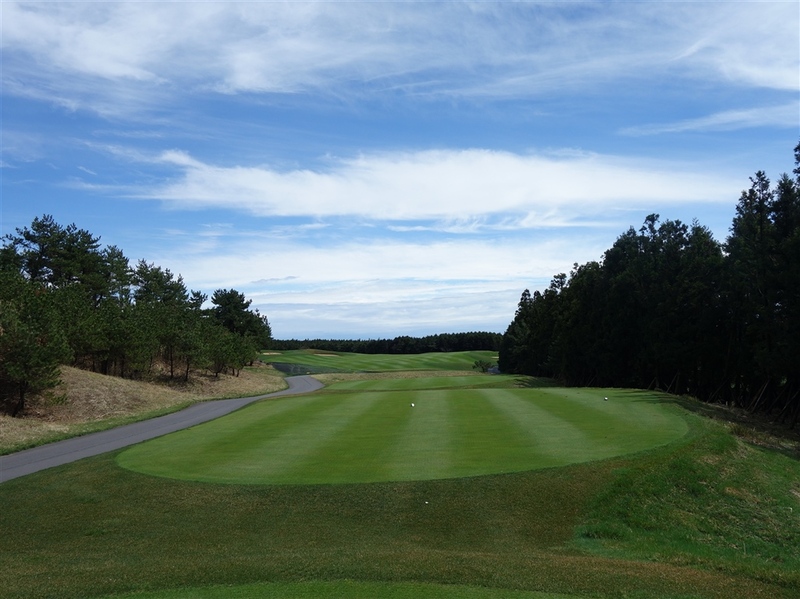 The bent grasses are not only used on the greens but also on the fairways, making the course aesthetically pleasing. A par four that consists of a slight dogleg to the left, bending towards Mt. Halla. Players make a decision on the second shot either to hit over the creek or lay up in front of it. The green is elevated, double-tiered, and is guarded by to bunkers on its left. A demanding hole with a sharp dogleg to the left. 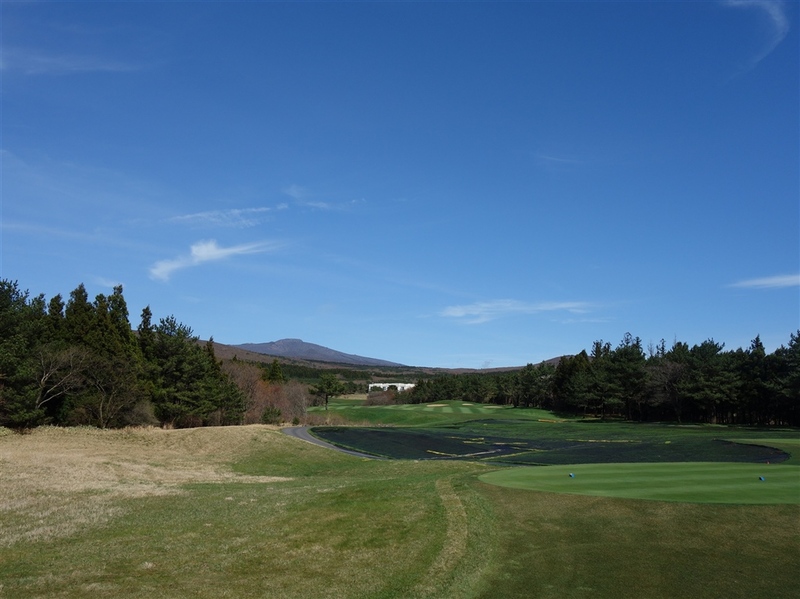 An ideal location to aim towards is to the right side of the left corner large fairway bunker. The second shot will require the ball to be hit over the bush in order to reach the green. The view during this second shot can be quite picturesque, especially during the autumn season. The long and narrow green is surrounded by three bunkers, a series of trees, and a creek that runs along the right side of the green. A par five with a dogleg that bends to the right. 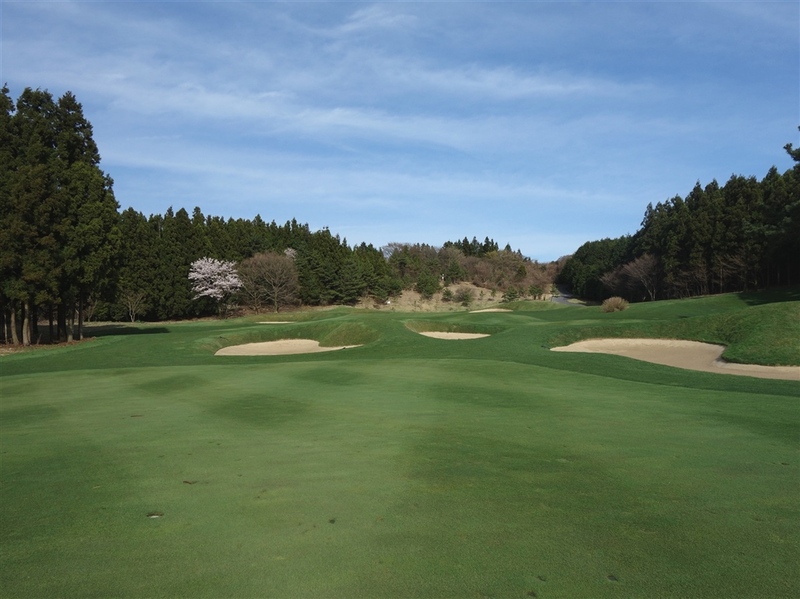 There are two fairway bunkers that are located around the right corner of the hole, and a carry of 250 yards is need to clear the bunkers. 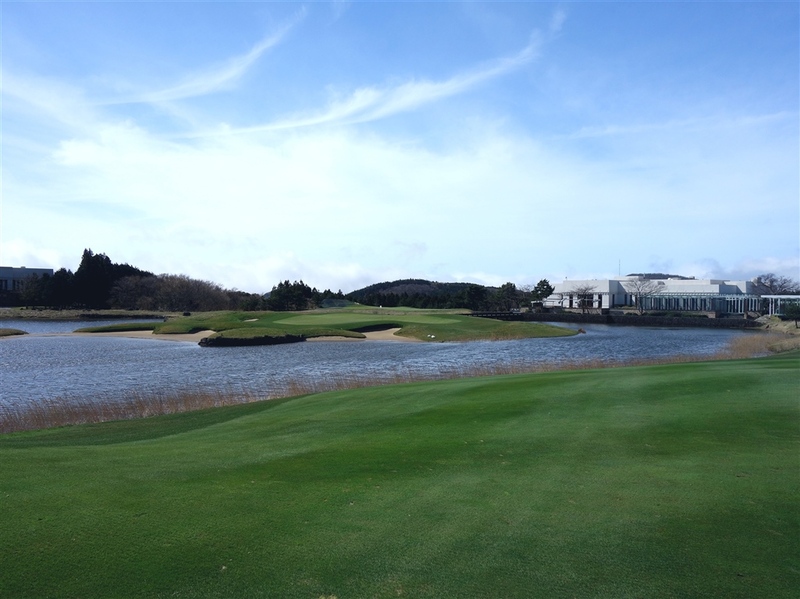 The second shot is difficult as the deep and narrow green borders a lake and three bunkers on the left. 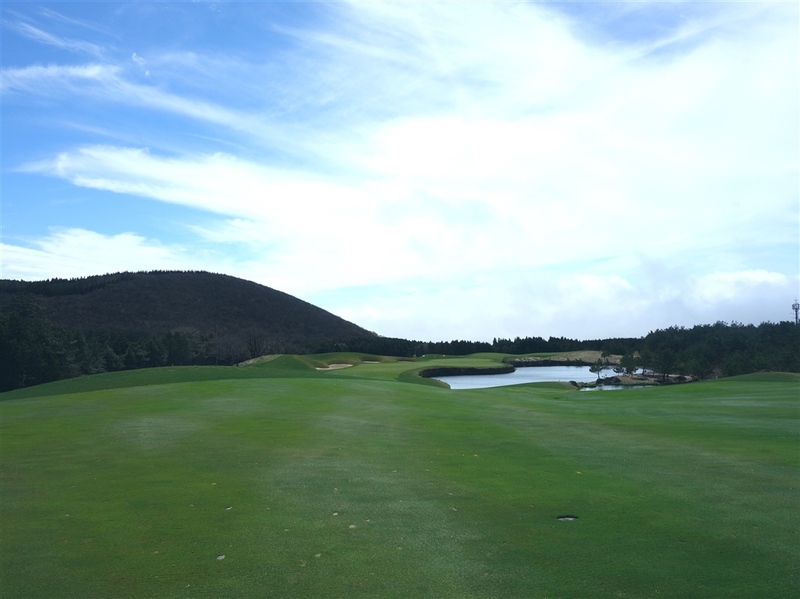 There is a ridge that crosses the center of the green, making putting is demanding as there is a chance in which the player’s ball may go over the ridge. 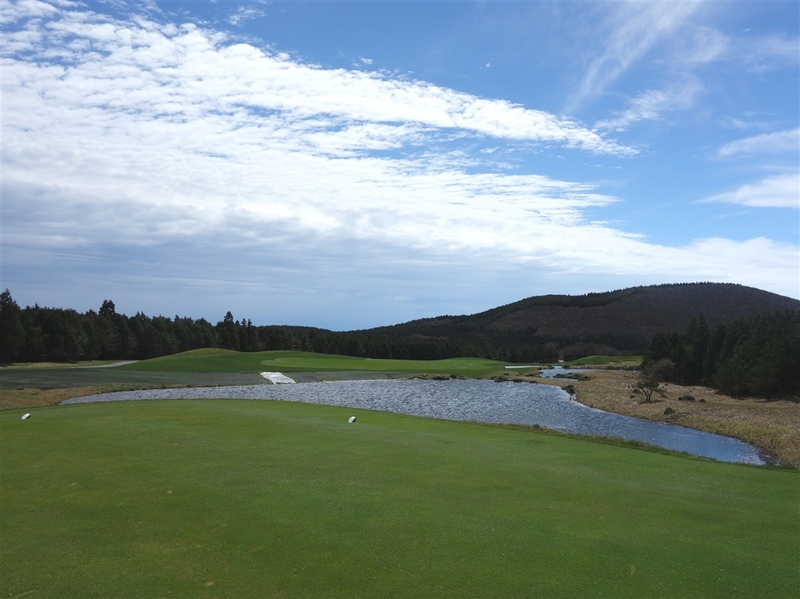 A slightly downhill hole that demands the ball to be hit over a large bunker and strategically placed lake, all located on the right side of the green. The green is deep and consists of two mounds in its center. This par four is a beautifully designed straight hole. 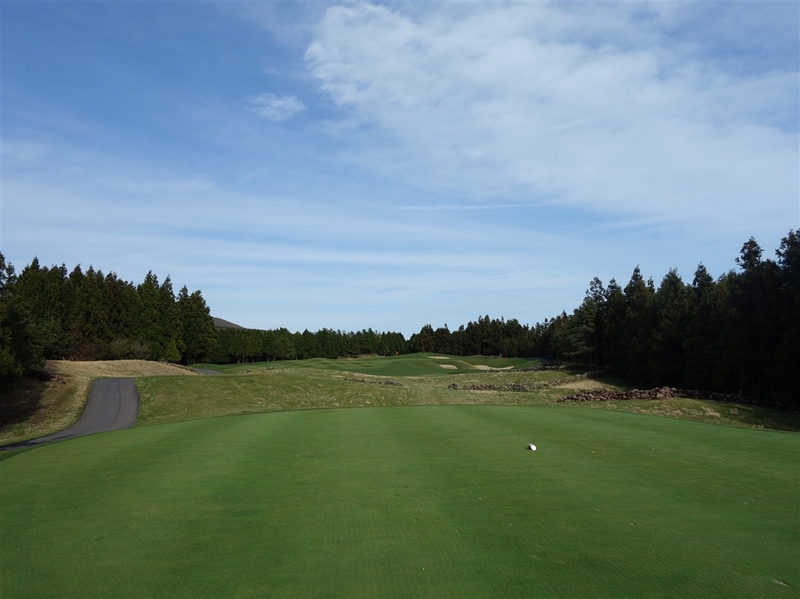 Although not long, the trees lines make it a relatively narrow fairway. 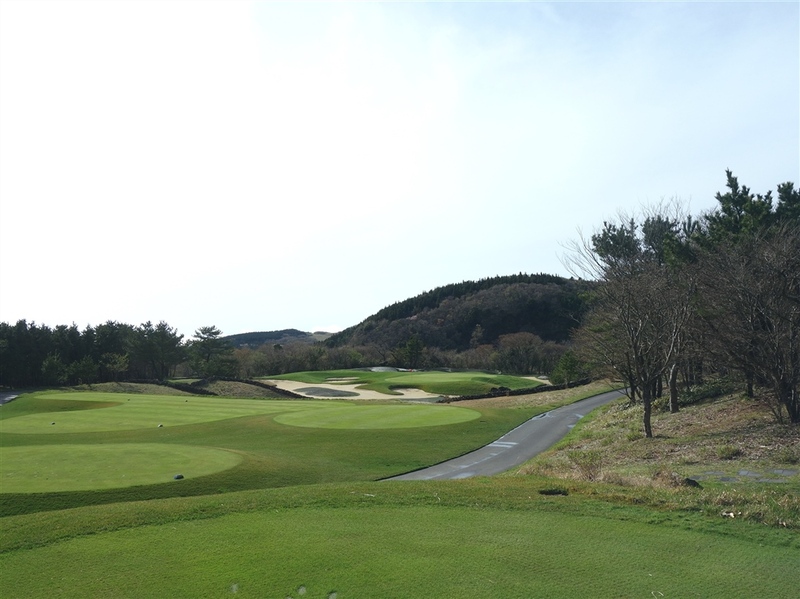 The green slopes sharply from back to front and is protected by four bunkers. The green looks as if it was protruding into the sky, forming into a skyline green. A gentle uphill that consists of a dogleg bend to the left. The tee shot will require the ball to be hit over a lake. 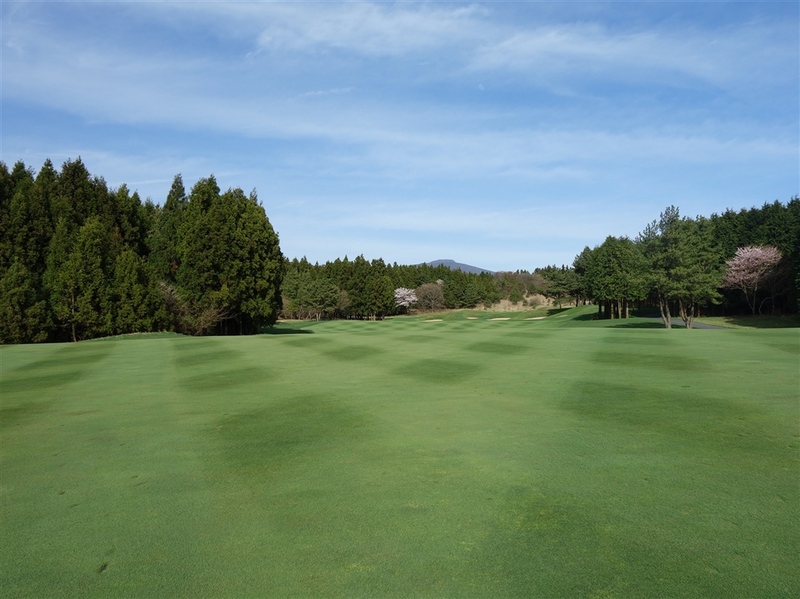 Players will need to make a decision on the second shot either to hit over the three bunkers crossing the fairway or to lay up in front of them. 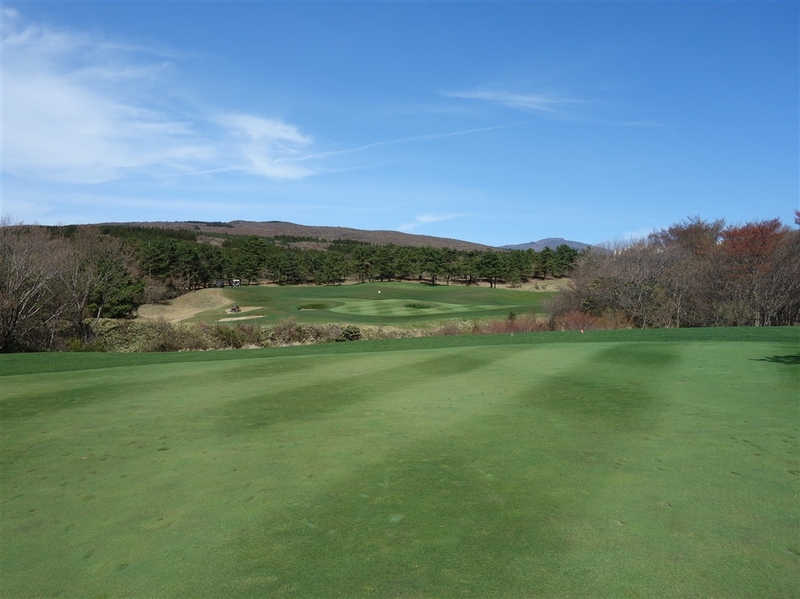 The green is 50-yard deep and consists of two big mounds, making the putting difficult. The 10th hole consists of a slight dogleg to the right. There is a fairway bunker on the right that will come into play off the tee. 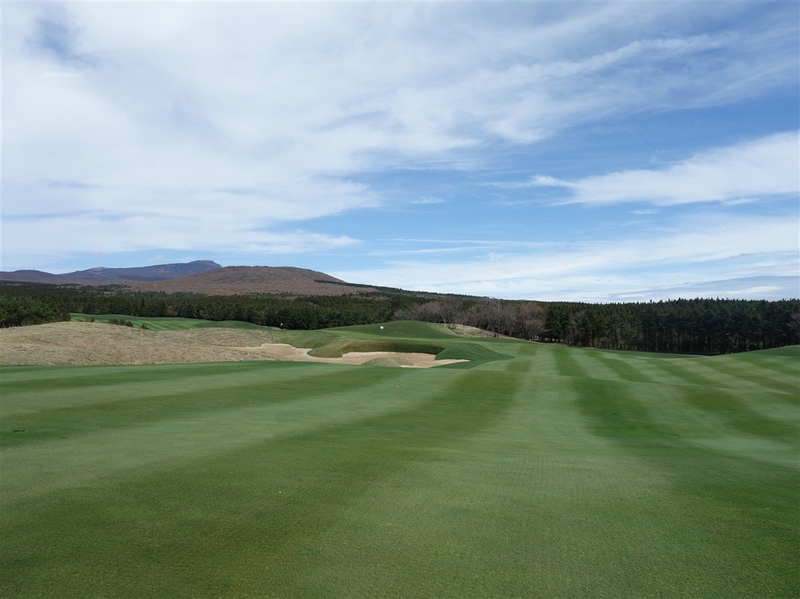 The green is double-tiered, has a gentle undulation, and is guarded by a bunker on its right. A dogleg to the right that bends around a series of lakes. 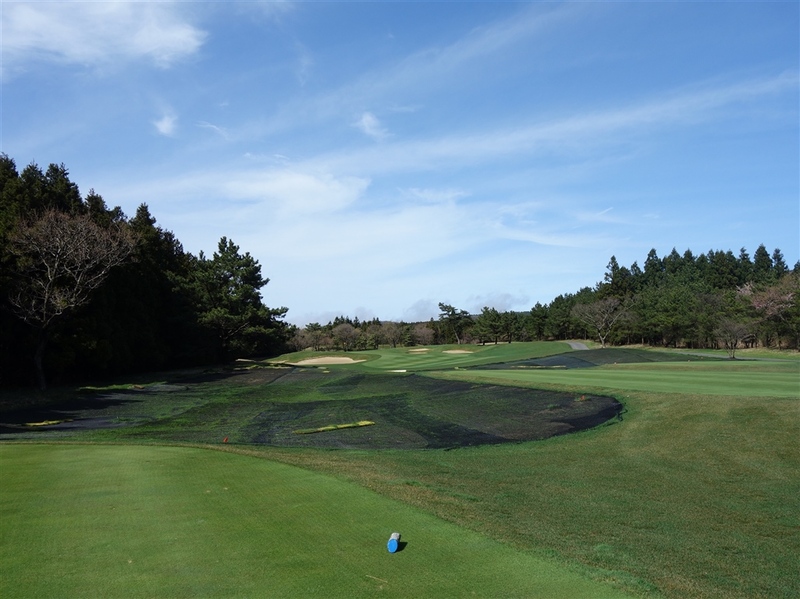 Players will need to hit an accurate tee shot in order to land the ball on the narrow fairway. 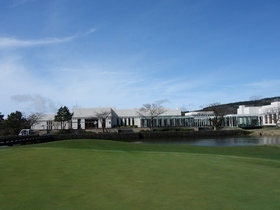 The front side of the green faces the lake and the left and back sides are protected by three bunkers. The green is shared with the strongly undulated sixth hole’s green. The thirteenth hole is a long par three that has a well-positioned large bunker that is located on the left of the green. This par four consists of a sharp dogleg that bends to the left. The second shot will require the ball to be hit over a large bunker. 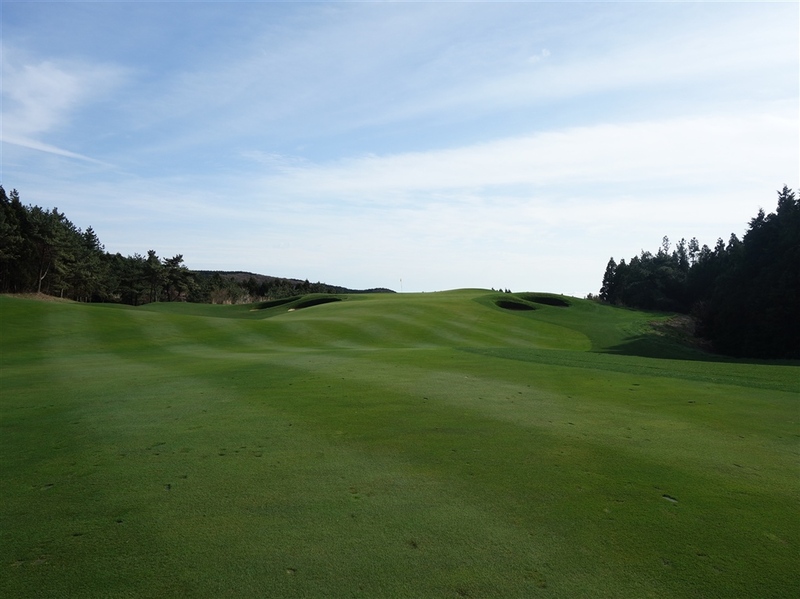 The green is relatively long as it is shared with the second hole. A signature hole that consists of a dogleg that bends to the left. If long hitters hit over 280 yards off the tee, the ball will continue to roll downhill. 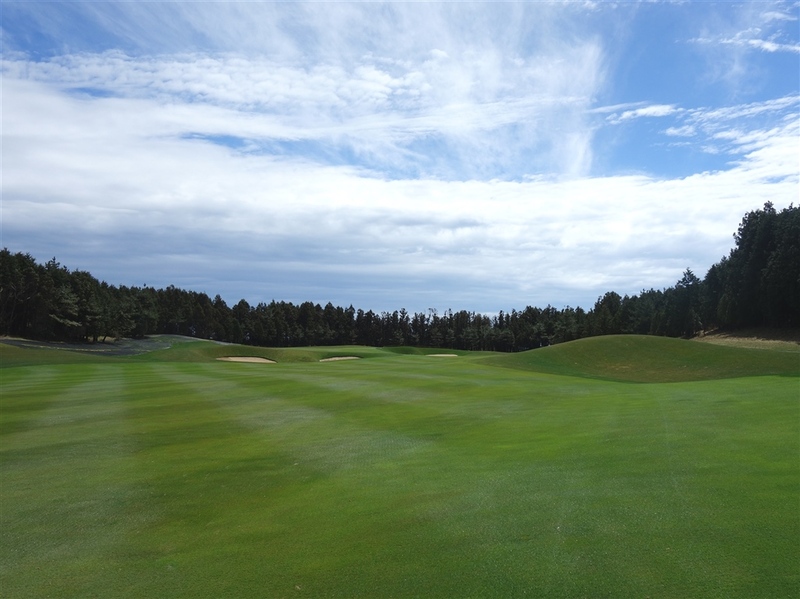 This will not only let players gain additional distance, but also will help them avoid the two fairway bunkers on the left, allowing long hitters to reach the green in two shots. 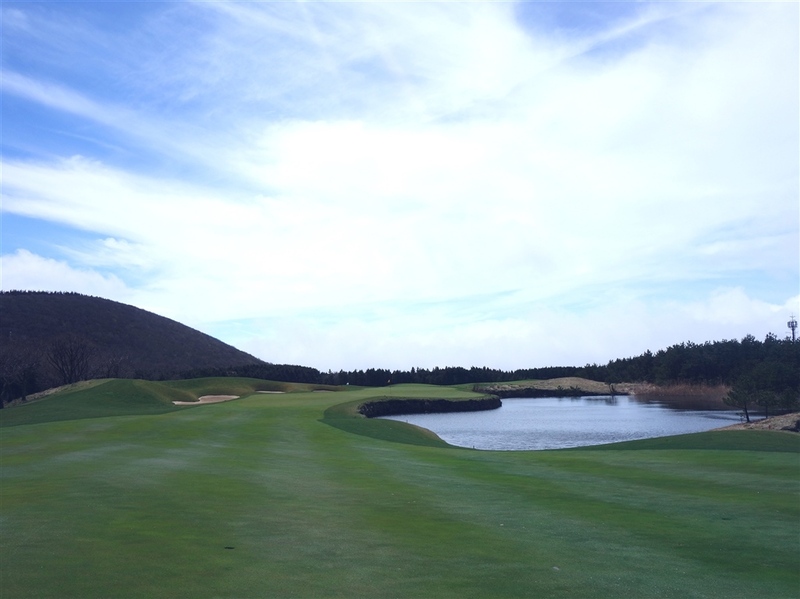 Regular players will end up hitting a downhill second shot, and an island green shot on the third. The strong and complicated undulations of the green will make putting difficult on this final hole. 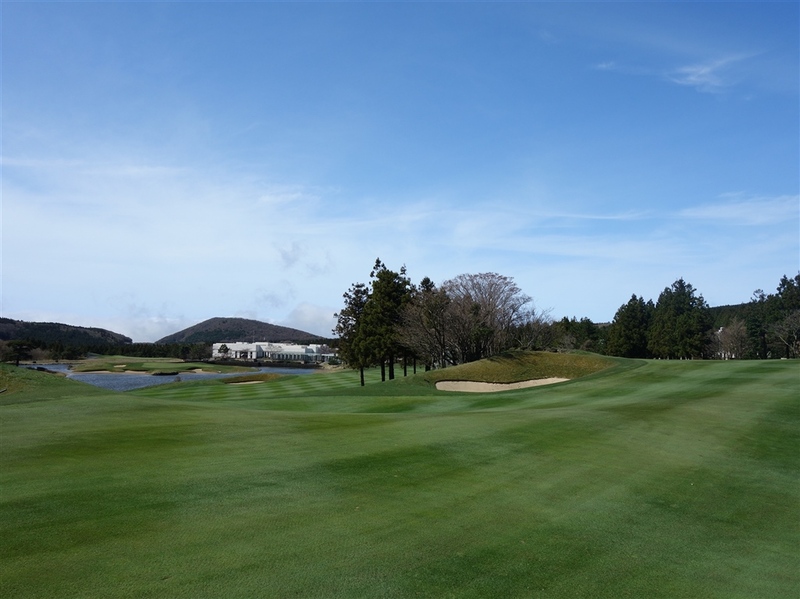 The course is a 40-minute drive from Jeju Airport. 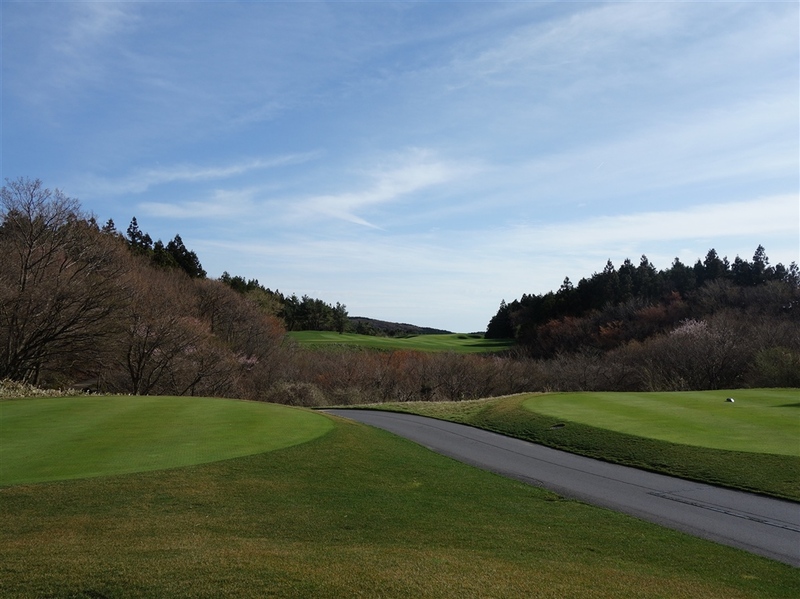 During my stay, I played Nine Bridges in the morning and Pinks GC in the afternoon. 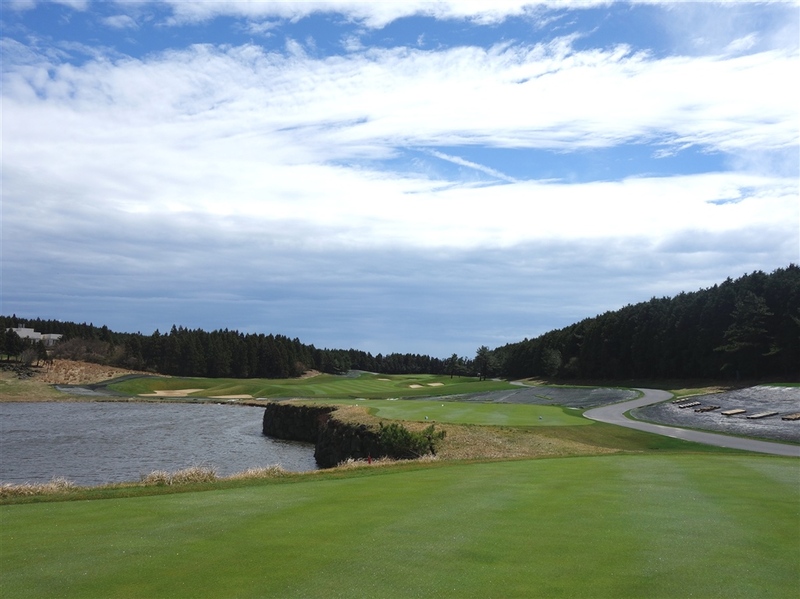 These two courses are just a 10 minute drive away from each other. I had dinner at Nine Bridges clubhouse and stayed in the neighboring cottage. The cottage is spacious and comfortable. Although every restaurant at the clubhouse has the same menu, the food served are all very delicious. 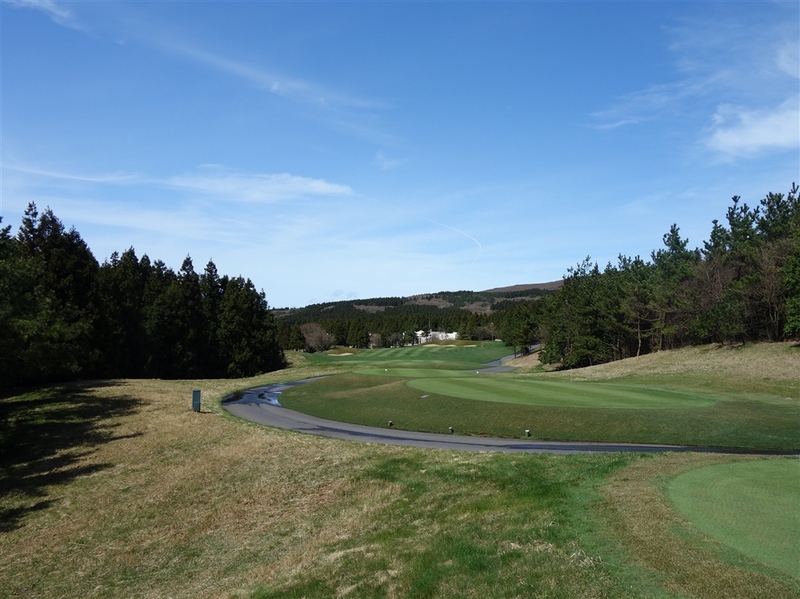 GOLF Magazine ranked The Club at Nine Bridges the 43rd best course in the world in 2015. 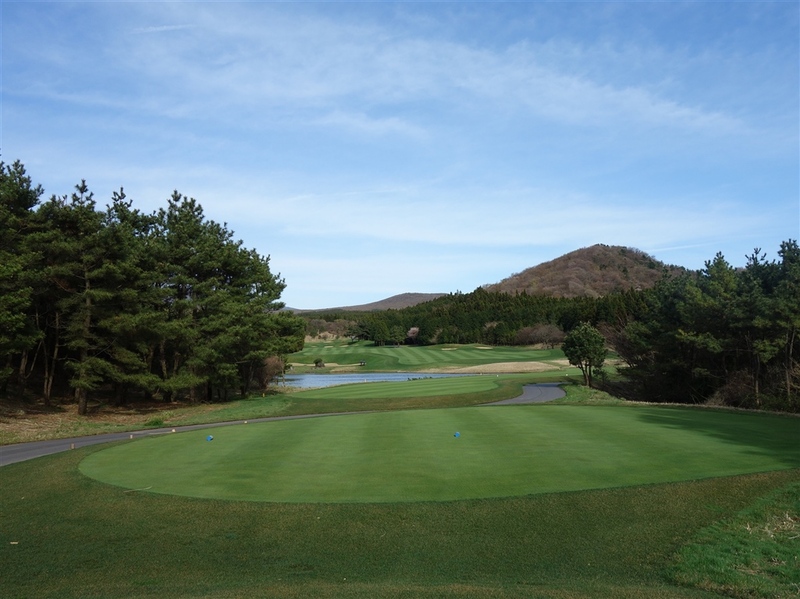 The other selected courses in Asia are Hirono GC (Japan 42nd), Shanqin Bay GC (China, 47th), Kawana Fuji Course (Japan, 68th), Ayodhya Links (Thailand, 76th) and Tokyo GC (Japan, 96th). 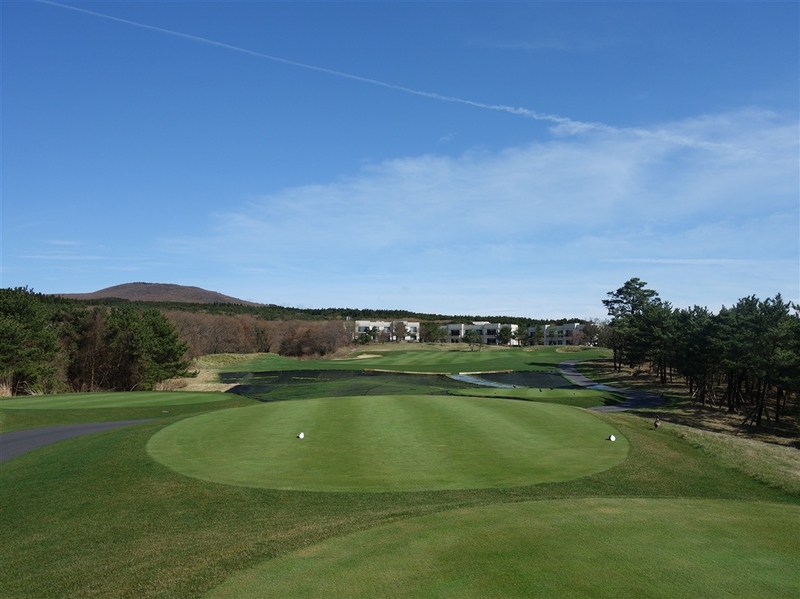 Other David Dale and Golfplan Inc.'s designs in Korea are Haesley Nine Bridges, Asiana CC, Bear River GR, Birch Hill GR, Chin-Ju CC, Dragon Valley R, Gasan Noblige CC, Gravis CC, Hallasan CC, Ham Pyong Dynasty GC, Island CC, Jeong San CC, Keunwi Ophel, Mudeungsan CC, O’Phel CC, Pine Beach GL, Pine Hills CC and Sand Pine GC.